Elective breast surgery should never be taken lightly. Your first steps need to be guided by a true professional, a real expert. Dr Michael Yunaev knows the risks, and the right way forward. While elective breast surgery should never be undertaken lightly it can have an utterly transformative effect on your self-confidence and wellbeing. In fact it can make a new woman of you. Breast reduction surgery can alleviate chronic pain and discomfort in addition to enhancing appearance. It has brought a new lease of life even to women in their seventies. Breast enhancement surgery can do wonders for appearance and self-esteem. Breasts are an intrinsic part of every woman’s body and psyche and one of their best assets. Elective breast surgery can help get their life back, enable them to them wear clothes they would never have thought possible, build self-worth, take pride in their appearance and get their mojo back. They are happy just to look at themselves in the mirror again. Dr Michael Yunaev is adamant however that elective breast surgery should never be regarded as anything less than a serious medical procedure. 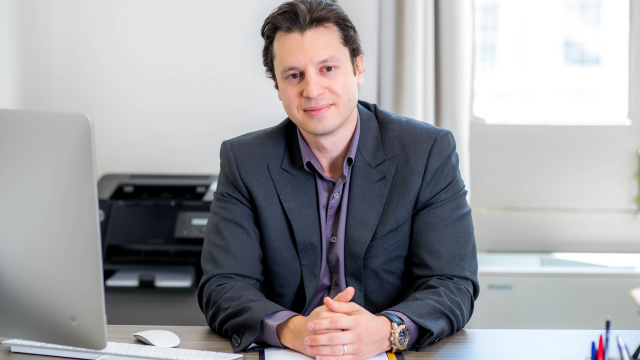 He is a Specialist Oncoplastic and Cosmetic Breast and General Surgeon and is the Principal Doctor at Breast & Body Clinic and one of Australia’s leading authorities on cosmetic breast surgery. He is alarmed by those who take the serious risk of opting for breast surgery performed by surgeons with minimal qualifications, sometimes in South East Asian locations, just because it’s cheaper. The benefits of breast surgery performed to the highest professional standards are beyond price. Dr Michael stresses the absolute imperative to get breast surgery right the first time. Breast revision surgery to put things right is often more complex than the original surgery and often more expensive. It is possibly no exaggeration to claim that the less you pay for breast surgery in the first place the greater the expense is likely to be longer-term. No surgeon in Australia is more qualified or more experienced both in eliminating post-operative problems and also in delivering an aspirational new you. Dr Michael’s surgical expertise is increasingly dedicated to addressing the problems arising from shortcomings in initial breast surgery. Sometimes results fall short of patient expectations. Perhaps the surgeon has applied a low cost one-approach-fits-all to the breast surgery instead of selecting exactly the right procedure for each patient consistent with world best practice surgical skills and techniques. That’s the required standard for optimal results with minimal scarring. Low-cost breast surgery options often ignore the post-operative treatment absolutely critical to best outcomes. Dr Michael makes it an integral part of his treatment to form a personal relationship with his patients to help them cope both with pre-operative apprehension and also the absolutely vital post-operative treatment. He understands that breast surgery can often be a deeply emotional experience for patients. It comes as a surprise to many that breast implants have a use-by date but never to Dr Michael’s patients. Even if the original surgery was performed to highest standards they need replacing on average after 10-15 years. Dr Michael is rigorous in ensuring his patients understand the need to plan breast implant maintenance on a lifelong basis. There are a number of actual complications from breast surgery that cause patient dissatisfaction and even alarm and require urgent revision measures. For example, a contracture occurs when fibrous tissue forms around an implant, becomes infused with calcium and causes severe pain as a result. Implants can become malpositioned by moving sideways or downwards or they can rotate. This results in an imperfect shape, an appearance of ageing and a very dissatisfied patient. Implant infection can lead to a contracture, extrusion or even loss. An implant rupture can even result in silicone escaping into breast tissues and lymph nodes, and causing considerable problems. These are all reasons for an urgent consultation with Dr Michael. 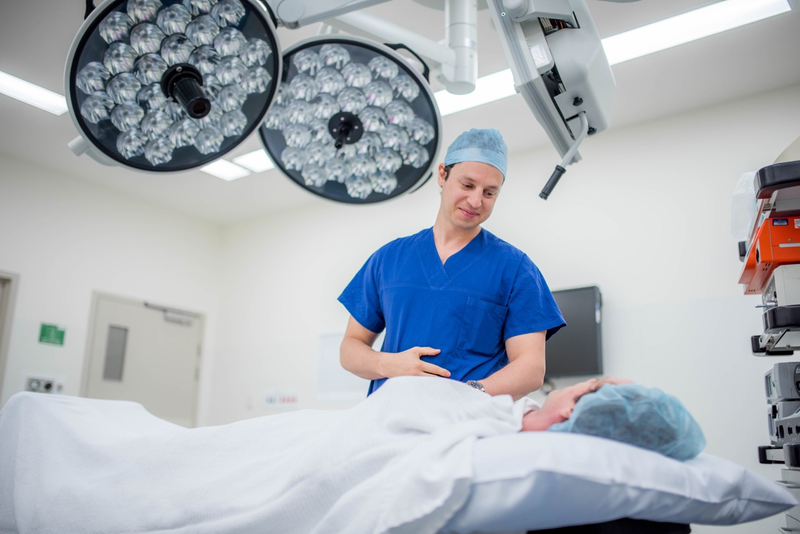 While he is absolutely dedicated to putting things right for breast surgery patients who have had an unfortunate first experience he would prefer to be able to give his patients the satisfaction of a first procedure that meets all their aspirations. There’s one other very salient point; Dr Michael has FRACS (Fellow of The Royal Australian College of Surgeons) after his name. He believes it is critical for your surgeon to have this title as it guarantees that he or she has gone through rigorous, peer-reviewed training to gain the title of Specialist Breast Surgeon. It is an absolutely vital quality control check that is easy to do when making the all-important choice of a surgeon for your procedure. If you have concerns about the outcome of any breast surgery it would be a great idea to visit Dr Michael for one of his thorough check-ups as soon as possible. Make an appointment either by ringing (02) 9819 7449 or through www.bbclinic.com.au. Dr Michael is available for consultations at the Chris O’Brien Lifehouse Camperdown, St Lukes Clinic at Potts Point, Norwest Private Hospital at Bella Vista and St Judes Specialist Centre at Bowral. The choice of Dr Michael for your breast surgery, either initial or revision, brings a certain peace of mind. Special payment arrangements can be made to suit your individual requirements. There’s a strong chance you will find it is the most empowering decision you’ve ever made.